Since 1994 DKI International Inc. has successfully emerged as a quality demolition contractor in Michigan and the neighboring states. Specializing in selective demolition projects in the domains of education, institution, medical, retail, commercial, military, and light industrial we provide the optimal service to all clients, regardless of the contract size. With hundreds of successful projects completed annually, DKI continues to build a satisfied customer base through the core pillars of customer satisfaction, service, quality and safety. DKI owns, operates, and maintains a substantial fleet of state of the art equipment operated by licensed, experienced, professional and reliable staff. Our pride is to complete your projects with the best and safest practices, effectively and efficiently, on time, and within budget. From initial mobilization to completion, DKI Demolition has the know-how and expertise to complete your demolition projects. DKI specializes in the selective demolition of architectural, structural, mechanical and electrical systems. 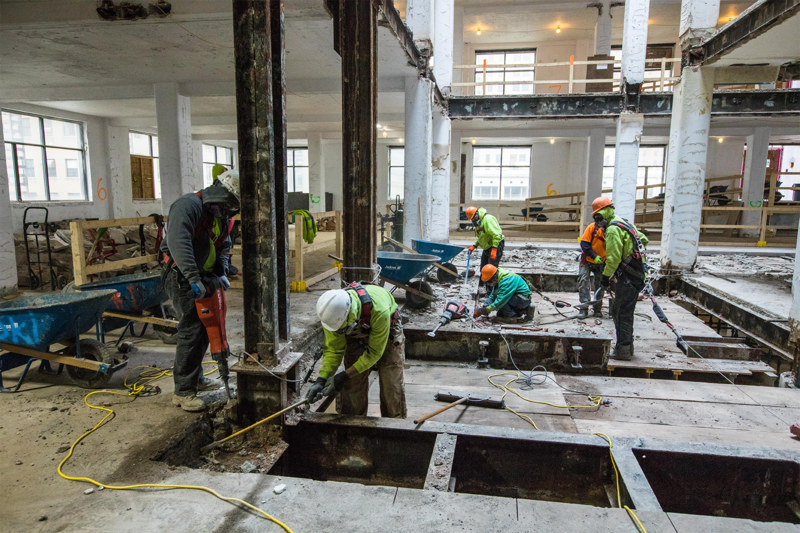 Our work includes structural shoring and temporary support, concrete saw-cutting and removal, light machine work and removal of all types of flooring. © 2018 DKI Demolition, All rights reserved. Designed by Sesi Design Group.